Turn an average event into an extravaganza with these tips, tools and tricks of the trade. Learn how to create magic by managing your event to be on time, within budget and to exceed your guests' expectations. What is a project and how do you define a project? Project management is different from regular management in that it is confined to a specific timeframe and utilises resources for a limited time only. 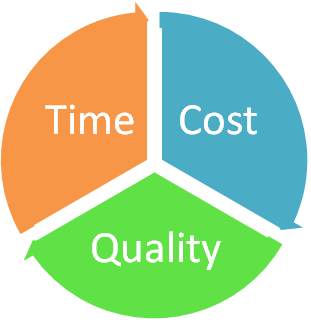 Once the basic project definition has been captured, one needs to also plan the project in terms of quality, time and cost. The level of quality the project should meet, should be incorporated into a work breakdown. The project manager will assign quality specifications for each sub-unit in the work breakdown. In terms of planning the time, the sequence of sub-units should be determined and time limits should be set for each unit. The critical path needs to be determined at this stage. The next step is to plan the cost. The project manager needs to estimate the cost of each sub-unit and establish a cost estimate. Once this is done, the budget can be drawn up. You have now successfully defined your project. In the next section, we will look at two case studies to identify where the projects failed or succeeded and why. It is crucial for the project manager to involve the project sponsor to ensure commitment. The project sponsor is responsible for budgeting the project. The project owner is also the project manager. The budget has to be drawn up before choosing a project team.